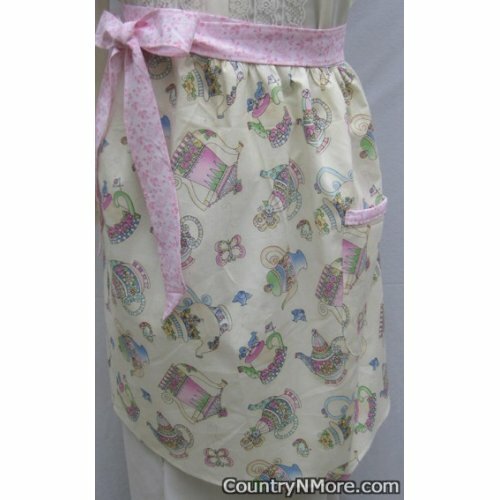 This darling vintage waist apron, is colorful in every way. The apron has different floral teapots,plus butterflies and birds. 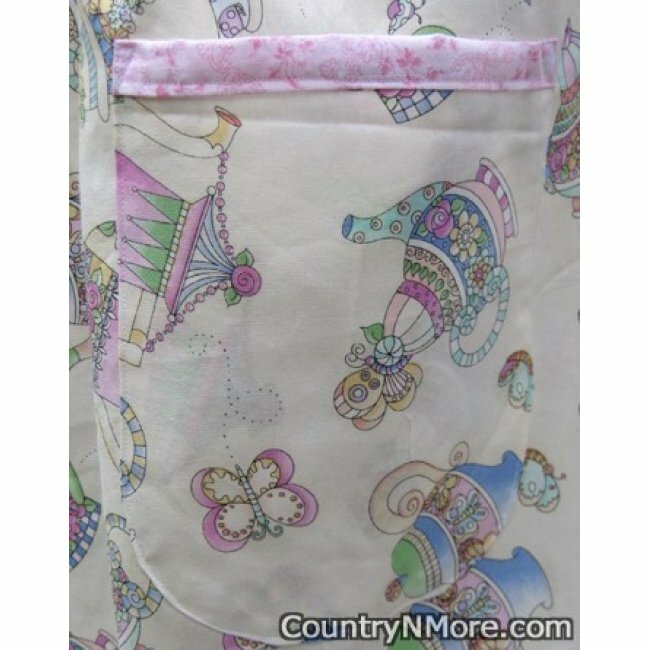 We have trimmed the floral teapot pocket with the light pink floral print. This same floral print was used for the waistband and straps. 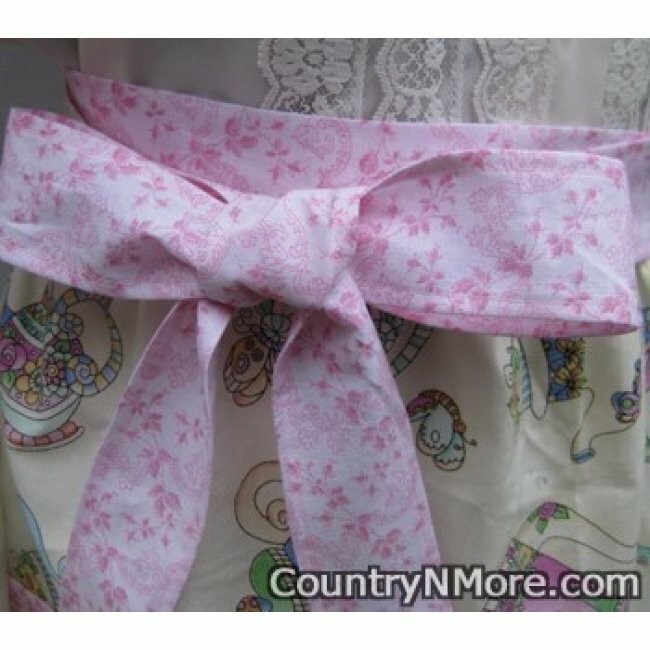 Straps are 42 inches long, allowing for smaller waists to tie in front. Apron is 24 inches long.